The Professional Golfers’ Association of America marks their centennial next year and the celebration begins in January with the largest gathering of the golf industry, the PGA Merchandise Show held annually in Orlando, Fla. 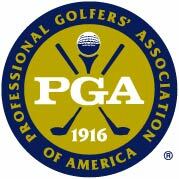 The PGA, arguably the most important golf organization, has 27,000 members who are the frontline of industry interaction its customers. Teaching the golf swing, overseeing the tee sheet, selling a new set of irons, setting up tournaments and managing course personnel all are the job of a PGA Professional. Even though at times, it may seem his or her primary task is lending a sympathetic ear to the sorry state of our golf games. The beginnings of the PGA in 1916 are interesting since a major impetus to start the organization came from the outside, from New York City department store owner and avid golfer Rodman Wanamaker. At that time all professionals were “club pros,” there was no such thing as the PGA Tour, and a large part of every club pro’s income was the sale of clubs and balls. Wannamaker felt golf equipment sales could be increased if they got together and started a professional organization. He sponsored a luncheon in January of 1916 where the idea was discussed and received general approval so that in April the PGA of America was chartered. The rest as they say is history. The new organization was quick to create competitions for its members with the first PGA Championship played just six months later in October. Jim Barnes, future member of the World Golf Hall of Fame, was the first victor taking the winners share of the $2,580 purse put up by Wanamaker, who also paid for the trophy; the same Wanamaker Trophy still presented to the champion. The PGA Merchandise Show began during the week of the 1954 PGA Seniors Championship in Dunedin, Fla. being played at the then PGA National Golf Club. Salesmen from several equipment and apparel companies set up in the parking lot using the trunks of their cars and folding table to display products. In its 60 years the Show has grown to more than 1,000 exhibitors housed in one million square feet with 10 miles of exhibit aisles in Orlando’s Orange County Convention Center. Restricted to PGA professionals and members of the golf industry, attendance at the January 2015 Show topped 40,000. 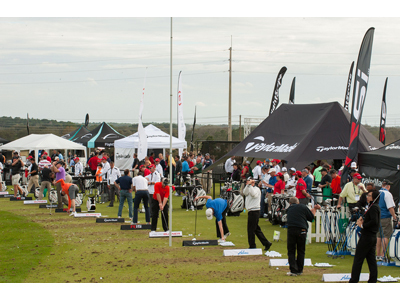 For many if not most PGA Professionals the dozens of professional development continuing education classes alone are sufficient reason to attend not to mention the immensely popular Demo Day held at the Orange County National Golf Center prior to Show opening. The PGA Merchandise Show is considered mandatory by golf industry insiders both as representing the start of a new golf year and for providing the opportunity to interact with their peers and conduct business.